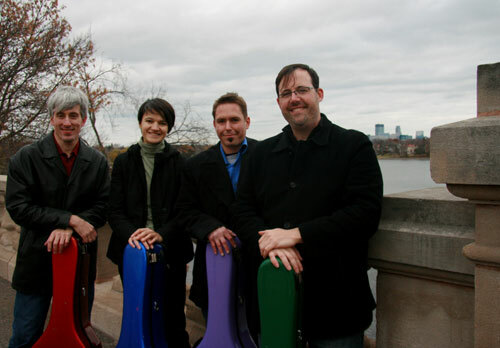 The Minneapolis Guitar Quartet offers first-rate repertoire ranging from Renaissance and Baroque to Spanish, Latin American, and Romantic, to highly imaginative existing and commissioned contemporary works. MGQ’s repertoire with full orchestra includes Joaquin Rodrigo’s Concierto Andaluz and Ian Krouse’s Cantiga Variations. The MGQ also offers two works for guitar quartet and string orchestra: David Hahn’s Concerto alla Barocco and MGQ’s own arrangement of Antonio Vivaldi’s Concerto in C, RV 560. Since 2006, the MGQ has collaborated with Flamenco dancer Colette Illarde, developing two different productions with music by the great Spanish composers Joaquin Rodrigo and Enrique Granados. This dynamic and wide ranging synthesis features music arranged by the MGQ, while Ms. Illarde’s choreography reflects the extraordinary vitality of Spanish culture and includes Spanish regional and folk dancing, classical ballet and flamenco.